We look forward to welcoming everyone entered in this, the seventh running of the award-winning Richmond Park Marathon on Sunday 21st May 2017 – starting at 9.30am. In addition we welcome our wonderful runners to 3 other events – the NEW Richmond Park 13.1mile event perfect for those getting in trim or training for the spring and early marathons – Sunday 5th March 2017 10.00am start. The Vanguard Way Marathon is a fantastic out and back challenge that starts and finishes at Lloyd Park Croydon – the VGW National Trail takes runners along some amazing hidden trails south out onto the spectacular North Downs to Limpsfield – and return back through stunning scenery and wonderful villages en route back to leafy South Croydon. Make a date – Sunday 5th August 2017 . Start time 9.30am. The Woldingham Half and Full Marathon returns for a second outing – this has to be one of the most beautiful places the start and finish an event in the exclusive grounds of Woldingham School – its like being on set of Downton Abbey . We have created a special two lap course that keeps the runners on a voyage of Woldingham discovery – rolling landscapes picture postcard style, hills – well, of course it would not be Woldingham if I didn’t pop in those unique hills ! The date for 2017 is Sunday August 27th – start time 9.30am. We are extremely excited about our marathon events in 2017, and look forward to welcoming previous participants and likewise any new members to all our new events. We are really looking forward to our brand new event, the HALF Marathon in Richmond Park on Sun 5th March 2017. 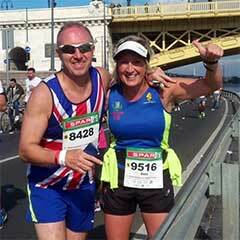 It’s superbly arranged to provide a valuable training run for anyone who is looking to run London Marathon, and indeed it leads nicely towards our FULL Marathon on 21st May 2017. Richmond Park in May, is always very beautiful and a great day for runners and spectators alike. I can’t believe we are now in our seventh year, and with each year we seem to improve and create one of the most enjoyable and sought after running events in the South of England! The fact that registrations fill up almost immediately along with excellent feedback, tells you how popular the race has become. Our aim has always been to make it an enjoyable experience not only for the runners but also for spectators, family and friends. I feel we have more than achieved this objective. What more can one ask than to spend a few hours in the surroundings of one of the most beautiful parks in the land, however painful it will feel at the end! As always It will naturally be a challenge, as the park has several hills to navigate, but hopefully with nice weather, good organisation and support, you will leave having achieved a different and more enjoyable experience than a standard road race event. 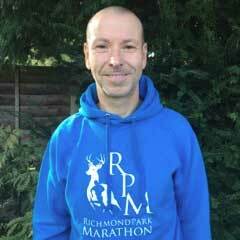 We really want everyone to enjoy the day and take with them fond memories of the Richmond Park Marathon. Having spent many hours running across the beautiful trail running routes within Richmond Park , I felt it was time to combine my passion for completing the full marathon distance and stay, remaining within one of London’s jewel locations – and this is how the start of the Richmond Park Marathon was born. Knowing that a full lap around the Royal Park is approximately 7 miles, it seemed most likely to complete 3 of these along with a 5.2m shorter lap to satisfy the 26.2m distance. What we have created is a beautiful running route that explores the whole of the park – and stays within the boundary walls of what has to be both quite unique and enjoyable and challenging to all entrants.